Your first choice for certification. Choosing the right truck driving school, Olympia residents can seek out a rewarding career with an amazing placement rating. At Western Pacific Truck School we understand the commitment it takes to attend a technical or trade school. You’re making a choice to seek a new career. This can have a great impact on your future. While our passion for the trucking industry is boundless, we realize it isn’t right for everyone. When you decide on our truck driving school, you’ll get intense training from qualified experts. When you call us to learn more, you’ll get unfiltered information to help you make an informed decision. 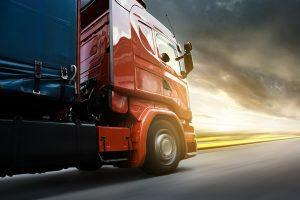 The trucking industry is currently experiencing a driver shortage. This is expected to continue into the foreseeable future, and experienced drivers can earn a great salary. Demand is rising for qualified, licensed commercial drivers. Though job prospects are high, this career may not be a good fit for those who don’t like being away from home or want heavily structured hours. The truck driving school Olympia depends on can be a life changing decision. You’ve already taken the first step. Our site isn’t just dedicated to our school though. It can inform you about driver expectations, duties, and life as a truck driver. Explore, learn, and see if truck driving school is a good fit for your future. Our website can help you determine if trucking is the career path you’ve been missing. You’ll find information that includes training requirements for CDL acquisition, course loads, and what you can expect after program graduation. Are you interested in learning more? We look forward to discussing your new professional career in certified truck driving. 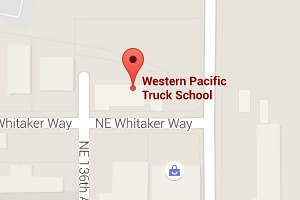 Call us today (888) 565-0203 or contact us to find out more about the Western Pacific Truck School of Oregon.